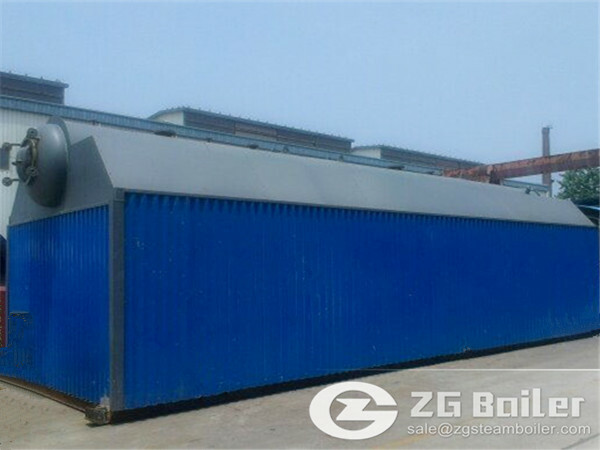 ZG was founded in 1945 and has grown to be one of the largest industrial hot water boiler manufacturers in the world. We’ve developed a reputation for matching the experience of our fully qualified engineers with the latest manufacturing techniques in New Zealand market. 1) Compact structure, small installation space, single-floor boiler room, cost-effective infrastructure. 2) Great assembly level, short installation period and inexpensive installation. 3) Sufficient and reasonable heating surface, quick temperature/pressure-rise of boiler, satisfactory productivity and high heating efficiency. 4) Introduce the air with air distribution chambers of grate. All air distribution chambers can adjust the air flow independently and grate can be regulated step-less speed. 5) Wide range of applicable coals and full combustion. 6) Electric control cabinet is equipped with complete automatic control and monitor instruments featuring high automation, safety, reliability and simple operation. 1.High efficiency: the hot water chain grate boiler structure design is reasonable, precision casting, scaly type fire grate assembly clearance is small, little grate coal leakage, replacement without stopping furnace. 2.Environmental protection: the excess air coefficient type hot water boiler tail heating surface tube after only 1.4~1.6 angle, not only reduces the heat loss of exhaust gas, reduce the fan power consumption, but also greatly reduces the environmental pollution of boiler room. 3.Security: hot water boiler wall mounted light insulation material, covered with a compound silicate board, then the metal plate reinforcement, no brick structure, excellent insulation effect, at the same time the boiler operation and control of high degree of automation, convenient operation and safety. With more and more occasions the use of hot water in industry, the use of industrial hot water boiler is gradually increasing in the world. Because of its numerous advantages at the time of purchase. If you have requirement of it, please contact us.